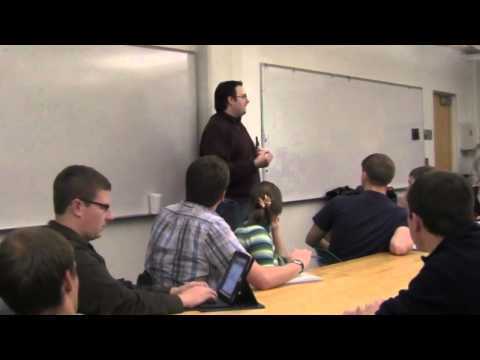 Another good (free) course to look at is Brandon Sanderson's SF & F writing class. Aimed "mainly" at novels, and of course science ficyion/fantasy, it still covers a lot of things from characters to plot to world building that will still apply to scriptwriting. In my pursuit of learning VFX, check out what one of my providers has turned me on to! Dart, Holly Moley... what have I gone and done?? I'm now signed up for the course you are currently taking. Looks quite interesting... it can can expand on what I already know. Tango Alpha, bookmarked the link you mention as it looks quite interesting also. Take a look at, if you haven't already, Animators Club for Carrara thread . Lets create a simple animation every week. by mmoir. Cool thing for me is that I submitted an object for the 1st animation which Mike, mmoir, liked. mmoir came up with the theme and a morphable object...diomede came up with a storyline and design of the main object... someone else is in charge of opening/closing credits/etc. Who knows... I may just be a tiny part of the props department :) but this will help my modeling ability if I participate for each one. I'm also not very savvy with the Tonn renderer. The whole thing just pulls my forward progress into directions that make my personal projects trip. I do check out the thread often though. I love that he does that stuff. I'm going for a much more 'Cinematic' result. Oh.. I'm only hoping to take away a few aspects from any of the classes. I watched all the short video examples and each writer has a different approach... their own "organization structure".. perhaps I'll walk away with a few tips. The classes I pour into - totally. It's the weekly animation thing that I have difficulty attending - but I love watching it. ha ha... easy for you to say. Just completed the rough draft of a nice, short first episode. Not too short... definitely not too long. Kinda Pulse-pounding I think it'll be - to kick off the adventure with a decent spot to rest for the wait to the next episode. I wrote my previous stuff one single pages - 1 thought - 1 page - one side. So tonight, my new ideas just had to get jotted in explaining the changes it makes to the previous story, and in doing so was able to complete the beat and fade to the next episode, really perfect-like! Some dialog... enough. Great introduction without monologs or over-emphasizing any of it... let the viewer 'soak in' what's happening - how the story begins. The book... oh the book. The Screenwriter's Bible is so awesome! So I've used a lot of what I've learned so far - eager to tweak it more as I learn more - but I'm not going to sit on this thing. I think that once I get something that I think will be really presentable - enjoyable to as wide an audience as I can think of... I'll pass it on to my Art department (me), who will make sure that all oif the important elements are sculpted out to fit the story as best as that department sees fit - also making sure that these prominent sculpts are backed with appropriate non-prominent back drops. I think that the one I was just talking about in the Render Node thread won't be used until at least Episode 2. I'm not going to drag out the episodes. Once a certain point is reached... done. Wait for next time where we'll pick up the story where the writing department (me) sees fit. During this same period, the project also gets passed to "Voice Overs" team (Me, Rosie, my Singer - probably my Guitarist too) - this will be really fun and will be done in one sitting. The studio is well suited for all of us to be able to stand around comfortably and see each other - we'll have to 'act' as we speak to get the right recordings... there's a wee bit of action in this one - and that'll NEED to come through in the vocals. With Voices and Art ready to roll it'll go to animation (me), where we'll basically drive to the sound stages that are just dying to be opened up again, coax the actors into putting on their best... and start (and finish) filming! They'll work out lip and facial expression syncing. Physics simulations (though some are done in the next process), animated effects and lighting... camera movements... this is one BUSY part of the whole operation. === Here's a fun part about this part - my 3D Animation Department and the post-production VFX Team (me) communicate with Everything that the other does... so there's a lot of power in this. For instance, if my VFX Team prefers, we can film the backgrounds separately from the actors. We can even individualize parts of either - stage and/or actor. As many layers as we need. The cool part about that is in saving Massive amounts of time... here's why. Let's say the background and it's effects come out perfect, but there's something just not right about one or more of the actors - or the other way around. Rendering individual elements can be really efficient if they're planned out like that from the start. It takes practice to pull it off without looking obvious, however. So we never want to overdo it.Just for those tricky spots that need extra attention - they're just THAT important! SO as you may have guessed, the finished renders go to the VFX Team. They're responsible for making sure that the visuals catch the viewer or send them adrift - depending upon the moment. They're the ones whom are no longer restricted to 8 bit, but can run at 32 bit - having the ability to take our 8 bit render output, and work with it at a much higher range for much more control - before running it back down to the 8 bit legal standard. Basically all that means is that we can make what pops Really POP! and add a bunch of scatter to make such a POP more believable - and exciting. This team has real-time particles and volumetric filters, rotoscoping, feathered effects, fine-tune color grading... all that jazz. We'll also try and attach any sounds that go with the footage onto the clip at this point, so that it stays with the clip (yet still editable) through to the next process. I actually love this part! I need practice. But I think my grasp is good enough for a starting point - let's see if I improve over time, shall we? I better or I'll have to deal with the Human Resources Department! Argh! SO here I am... I should be sleeping. I accidentally woke up my Reason for Living... my Treasure... My Rose. I was just too excited to try and sleep after fixing that thing. It's going to be so cool! I can't wait to show you all... it's coming! Which reminds me... after the VFX Team is done, it all gets sent to... The Cutting Room!!! Oh... that's me! This is where we stitch everything together and give sound and music their final mix, set the pacing of the film... this is where the movie is actually MADE. It's also the stage where we keep close contact with all of the preceding departments - in case we need something in a pinch! Pass it off to Titling whom will also decide on the final, overall grade of the color, contrast, all that. The final proof. We get a living room full of brutally honest people (my Daughters, Son, Brother, (Wife and Sisters would say they love it even if they didn't - but their expressions... I'll have them there too!) and watch it through. At this time, nobody except for some of the above Teams will have seen it - so this will be truly an opening screening. I never even finished this part - too excited, I guess. So the new ideas were easily jotted in perfect little spots on the otherwise empty page on the left. I knew I started page one on page three for a good reason! So now that will all stay in that journal in it's original, thrown-onto-the-page manner. Stuff that got replaced didn't go anywhere - it just has a bold X in front of it with an arrow pointing to what replaces it. Next I'll clean it all up into a nice, new format, according to the learnings from my book. Some folks use index cards... I'm grabbing a fresh journal to match this one. First Thoughts Journal and a First Format Journal. I'd also like to add one more journal to this whole thing - a Final Screenplay Journal. That one will include scrap paper used to edit the First Format Journal entries, organized in order in a pocket in the back (when I'm done using them), and a formal Script laid out as similar to something I would try and sell on the market as a screenplay as I feel necessary. I'm not planning to sell any of this in that way, but I'd like to add that to my list of techniques to try and Hone as I Go. Dartanbeck, no idea how old your children are, but try to add them to your project. Create children of characters with children voices (small gnome?). I am very sure they will like it. They will feel proud if they hear their voices attached to animated characters on a screen. Ask them if they want to be in your movie. And with more characters you have more options to create scenes. If you show the results to your family and friends, record the audience (without they knowing it). You can learn from their responses. Observing only, is too limited. If you scare them at one point, that is good. Maybe you can find a way to scare them more (sound can do the trick). Play the sound not too soft for them. A bang should be a bang, not a plop. Not sure if you thought of this, but if the voice does not completely match the lip sync, but is sounds good, you can always try to change the the lip sync, instead of a new voice over. Most of the time this is not possible for others, because the animation is fixed or real life acting cannot be modified. That is an advantage of doing everything yourself with animation. You could also think of recording the voices first and sync the animation towards the recorded voice. Is much easier for the one who is doing the voice over. He or she only has to say it in the right mood, without worrying if it matches to what he or she is seeing. Record multiple ones (in different moods) and choose the best one. Don't forget, you are not working with professional voice overs. And I think it is easier to create lip and mouth movements, if you have a reference point. The big players cannot do this, because I think animation is created first. If you work reverse, you could get very realistic results. And it is easier for everybody. And you do not have to record again if it doesn't match. Dart - I can sense your excitement at your story idea, if you can capture even half of that energy in your animation, it will be amazing! Just to pick up a point made by Pjotter, speech is almost always done by recording the voices first and then animating to that. A good voice actor will provide inspiration on how to animate a scene - which is why it is always a good idea to video the voice recording if you can. Not to exactly copy the actors, but they will be able to give you ideas on gestures, expressions, etc. It must be difficult to read, when I write such a long babble-session, but in the steps, I illustrate clearly that voice acting comes BEFORE animation, but after Conceptual Art, which I only called, Art. Yes... that's been the plan from the initial vision - years ago. Although I bought, and plan on using Mimic Pro for Carrara, that will only be the beginning of the voice sync animations, as I've been a sponge - watching how people talk - how their lips and faces move when speaking naturally. Lip sync - especially when automated by such things as Mimic, often over-emphasizes mouth shapes during fluid speech. A simple test of this is to say to yourself: "l, m, n, o, p" from the ABC song - and say it quickly - as the song goes. "ell emehno pea" always felt to me like a single word when I was a kid. There usually isn't enough time for the lips to form the Oh viseme, though automation will do its best to get it in there - making it look a bit odd. Looking odd doesn't mean that it's clear as to 'what's wrong? ', so it's common for some to just leave it alone. My initial work towards this is another plan I've had all along - which is to create custom viseme clips for each character, because each of my character's mouths shape differently for expressions and speech - as well as casual shape. So to assist the automation, the actual visemes will be much more subtle than the default visemes when dialed to 1.0, and I'll have other facial morphs - not tied to the NLA - which can add more emphasis to vowels and consonants where needed. But that's all workflow matters. On this topic, I have to risk sounding repetitive by offering one of my favorite sources of inspiration about these matters. As the seasons progress, the various Teams have evolved and improved. Some of this 'improvement' isn't necessarily for the better, in my opinion. Lip syncing is one, as I've seen some glaring dislikes of animation in later works, and just loved most of the more vague offerings of the earlier ones. When observing real people talking, I notice that 'vague' is so much more realistic than more detailed approaches. The secondary emotions and face twitches should be added to complete the final effect of making the animated dialog more believable. Another thing is to make sure that we don't always focus the darned camera at the person whom is talking! All too often is a Homemade animated film made a bit 'uncomfortable' by the constant focus on the speaking character. Gets us dizzy, can get boring, to 'forced'... whatever. Just don't do it. More importantly, we need to make sure that we let dialog 'enhance' the story - not tell it. Nope. Best thing to do is to post an image! Images always color up the thread! ​If you show the results to your family and friends, record the audience (without they knowing it). You can learn from their responses. Observing only, is too limited. If you scare them at one point, that is good. Maybe you can find a way to scare them more (sound can do the trick). Play the sound not too soft for them. A bang should be a bang, not a plop. Like Misty, I have a collection of professionally recorded sounds from Sony which are really nice to have for things that might become impractical for me to record myself, but I'm really looking forward to doing Foley! My singer, whom owns and runs the killer recording studio we'll be using for voices, has this awesome little Tascam portable digital multi-track recorder. I want to get one. It's really awesome! It has built in omni-directional mics of pretty decent quality, but also has all of the other standard inputs for pro mics, XLR, 1/4", RCA, etc., then just USB the files to the workstation! Sweet! Until I get mine, he's going to let me have his. He got it for free by ordering so much Pro-Sound equipment from one of his suppliers. The Sony collection I have has some really nice explosions and other big bangs that I don't really want to record myself. I'd also like to (immensely) Thank You for doing this to me! Yikes! David Trottier is a name I'll always know now. He's taking what I've been dreaming about all these years, and pulling it out of my subconscious - my unconscious - and teaching me how to deal with it later. We need to "write it ALL down" - just as Pjotter has been saying from the beginning. Write it down, record it - whatever works best for you. I never really care for listening to my own voice dictating thoughts. Plus I always like to see the words as I write - it inspires more words and sketches. So many people in the course I just took seem to be under the (wrong) impression that we need to write into the Character-Driven, Three Act Structure. I feel sorry for those whom get stuck in those types of thought. One critic of "Save the Cat", an author, said that people come to him all the time with the notion that thery want to do as he does, and ask him for advice. He said it's frustrating because he already knows that, while they may have ideas brewing, they're actually far too lazy to ever take the story anywhere - to lazy to write. He then continues that this book (Save the Cat) is written for them - to pet their egos and keep them wishing that they could one day get their big story written (by some automated agorithym?) and then went on as to why he thought this book (The Screenwriter's Bible) is much better for any serious artist wanting to 'learn the ropes' of screenwriting. Either way, I think that any of these books would help the serious writer. Like what has just happened to me, all these people really need is the nudge towards asking the right questions - which always draws us closer to our answers. This book, The Screenwriter's Bible, continues to pull back more and more layers of the process as it goes. I haven't even gotten to the formatting book yet. I'm almost done with the first book, which has already had me reading most of Book 2, the Work Book, which I'll be reading again when it's turn comes - probably tomorrow. Then comes Book 3 - A Formatting Guide. From this point in the tome, we'll be learning how to properly write screenplays into the format expected to see when the prospective buyer gets it into his or her hands. While this might not seem as important to the one-person-studio, like me, I still feel the need to get this all down, right through Book 4 - A Spec (speculatory script) Writing Guide, and finally Book 5 - A Sales and Marketing Guide. Book 6 is a Resource Guide and Main Index giving us a head start on finding prospective buyers, finding more places to learn more about our craft... stuff like that. I haven't got that far, so I'm not entirely sure what all is in there - just going by my memory of the introduction. These formatting measures are adhered to for good reason - it works. 1 - Not until all of the above steps are complete. Creating DVDs can be fun... but it's one of my least favorite parts of the whole thing. It's creating the Content on that DVD or BluRay that's my thing! We'll be viewing a DVD, thought it probably won't be the finalized copy with the special features and stuff... just the feature film. So that won't happen until after the Titling and Grading depertment passes on their finished product. Carrara was another key step in all of this. I was feeling some serious frustration trying to get this all started - let alone seeing some form of completion - in Poser and/or Daz Studio. I love them both - but they can't take my thoughts to conclusion. I often refer to Carrara Pro as an in-home ILM studio. I do like to get the stage set up with all of the actors involved, and set them into a still frame - just to have a look at the scene. Saving this into its proper place within my custom browser is also an excellent push towards realizing that scene in the final production - even though many aspects within it may change... the intial thoughts are there - which can be precious! So a single set of still frames from a scene like this can behave as a whole storyboard for that scene... to me, the Director. I agree. In short, you need motivation, a basic idea, knowledge (books mainly) and writing things down. Then you will can start building. If you do not have a basic idea you run in every direction. You will get nowhere. Without other people's info, animation will be very limited. Only animators will be impressed. Others will find it boring. With not writing things down, your basic idea will not grow. It is impossible to get a complete idea for a project in one moment. It does'n't work like that. It goes in little steps. Everytime there will be new ideas or improved ideas. Once you get started like this, the ideas will come faster then you can build them. That is good. Keeps you off the street. And there is not much that is more rewarding then building something yourself. Makes you feel alive. I work like this. Everytime I have an idea I write it down (I have always pen and paper in my neighbourhood.). You never know when an ideas come. Sometimes I have short ideas and sometimes longer ones. After a while (days / weeks) I write them down in my computer to keep things organized. While writing down my "old" notes, I do very often get improved ideas during typing. New ideas for an existing project are added in that file (I have many). Good ideas which are not related to a project go in one file "new ideas." Rereading that file, gives me new ideas. In a computer you can add or change much easier then paper. That gets messy. Short important ideas go on post notes. I now have 9 around my computer screen and speakers. Yes, you should listen and read other people's info, but always listen to yourself first. This is not an argument for not starting to read, because most info from books is good. But you should not believe everything. Unfortunately this is pretty much true across many different disciplines. Profit driven enterprise tends to focus on repeatable formulas. Innovation is riskey, and when ROI is uncertain, sometimes the more innovative/creative projects may be scrapped. ...without even a proper looking at... yes. Too True. There are ways we can avoid such scrappage - take the new innovative idea, and present it in a way that resembles - mimics, even - a more traditional approach. Get into the innovative guts of it after you've 'hooked' them in with something exciting/intriguing.